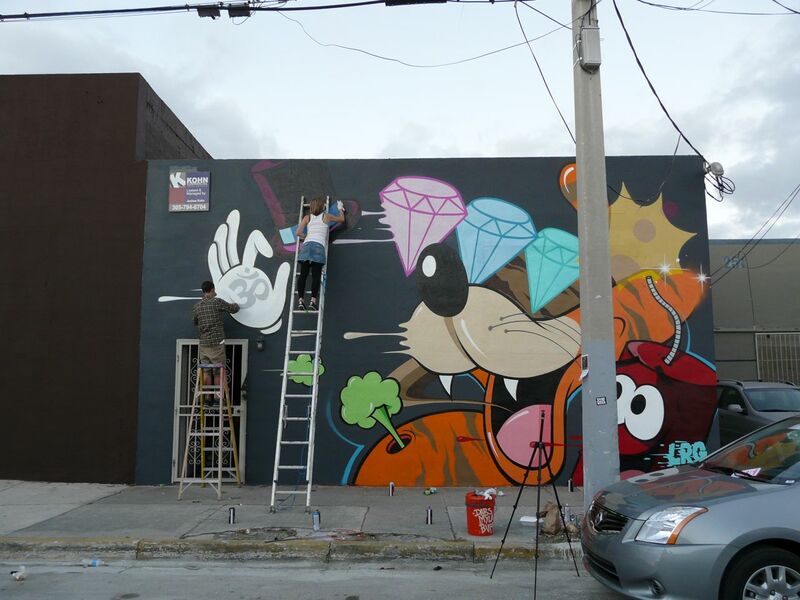 Street activity has definitely been strong during Art Basel Week Miami, and this is one of the things that sets it apart from the more prestigious original fair in Switzerland. While walking through the myriad of streets where murals were being put up, we passed by Aussie couple Dabs Myla as they painted this piece. The wall was sponsored by LRG and was almost completed by the time the sun went down yesterday. Categories: Fairs, Features, Seen on Streets, Shows & Events, Street & Urban Art. 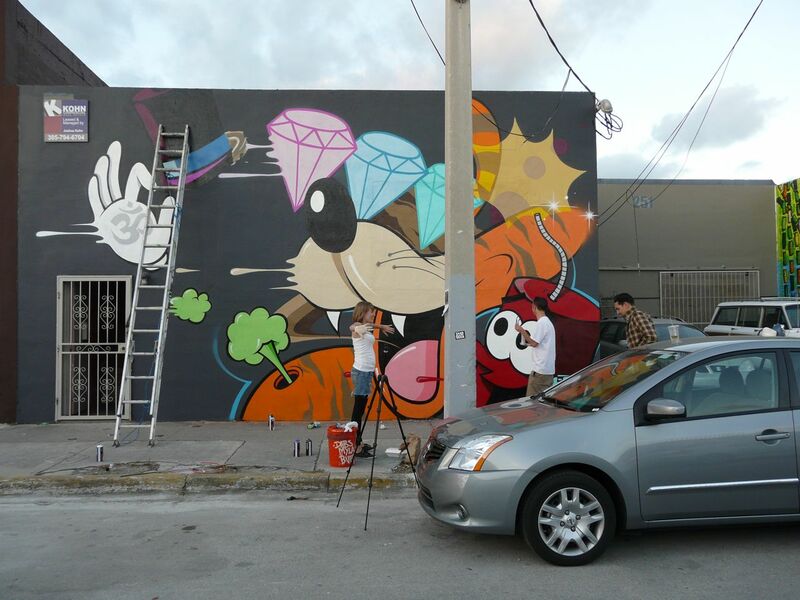 Tags: Art Basel, Art Basel Week Miami 2011, Art Fairs, Dabs Myla, Features, Miami, Seen on Streets, Street & Urban Art.